If you were charged with domestic violence in Massachusetts, it’s critical that you take quick action to defend yourself against potential serious penalties. Without adequate legal representation, you stand a much higher chance of being sentenced to jail, being ordered to pay high fines, and put on probation. At the office of Criminal Defense Attorney Thomas Kokonowski., we have significant experience in handling a wide variety of domestic violence cases, and we can provide you with the razor-sharp legal edge you need in your case. The domestic violence area of criminal law, in Massachusetts, has recently had significant changes made to its statute. It is important to understand these changes and how they may potentially affect your case. In 2014, the Jared Remy case added even more fuel to this proverbial fire and new, stricter domestic violence laws to the Commonwealth’s domestic violence statute books. As of August of 2014, some drastic changes took place in the domestic violence statute. First, when a defendant is charged with domestic assault and battery, strangulation or any offense that constitutes abuse of household or family members, any investigative material, including police reports and witness statements, is no longer considered public record. Second, the person who is charged with these crimes now cannot be released from the police station for at least 6 hours after the time of arrest, unless the Commonwealth moves to arraign the person before the 6 hours for very specific reasons. Additionally, if the court determines that domestic abuse has actually occurred, the defendant’s information is placed into a statewide domestic violence database. I defend my clients very vigorously against these allegations, starting with pushing the prosecutor to have my clients arraigned well before the 6 hours because most cases do not necessitate holding people that long. The punishments a defendant faces in a domestic violence case can vary depending on the facts of the case. However, they tend to be harsh and subsequent offenses are treated even more seriously. Aggravated domestic violence is a felony in Massachusetts and can result in up to 5 years imprisonment. If a dangerous weapon was used during the assault, the penalty can be increased to up to 15 years. 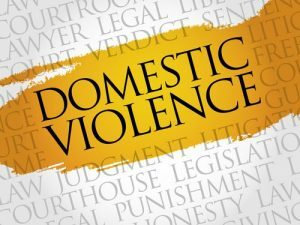 Because the penalties you stand to incur are serious if you are found guilty of domestic violence, it is crucial that you obtain high-quality defense as soon as you learn of the charges against you. Unfortunately, it is extremely common in Massachusetts to find out that the accusations of domestic violence against an individual are false. 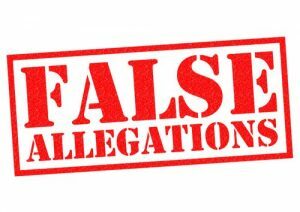 False accusations have far-reaching consequences for not only the defendant, but for the entire family. There are many reasons why an individual would choose to falsely accuse someone of domestic violence, and it’s important to first examine the accuser’s potential motivations in order to uncover any untruths that may exist. Fighting to keep your record and your reputation clear is as important as fighting to keep you out of jail when it comes to domestic violence accusations. Self defense. Evidence may be able to be recovered that proves the victim instigated the violence and the perpetrator was merely defending him or herself. The violence never occurred. When there is a distinct lack of evidence, if for example, the victim did not seek medical attention after the alleged incident, this may be used to prove that the domestic violence never actually occurred. Factual inconsistency. Exposing inconsistencies in the accuser’s story can be a strong defense against domestic violence charges. For example, if the accuser has changed his or her story of what happened, this may be enough to convince a jury that the story is fabricated. Alibi. If the defendant has an alibi for the day and time that the incident supposedly occurred, in the form of a witness or documentation such as receipts that place him or her at another place, this could be enough to get the charges dismissed. 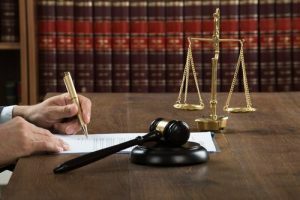 Determining what the best approach is in a domestic violence case depends greatly on the unique facts of the case. At the Law Offices of Tom Kokonowski, Esq., we can evaluate the facts of your case to formulate the strongest possible defense from multiple angles. What If the Victim Recants? Unfortunately, even if the victim recants their accusations, the commonwealth of Massachusetts must still pursue the case. Since the burden of proof rests on the individual making the allegations, if he or she recants, there is a greater chance that the charges will be dismissed. However, this is not always the case. The commonwealth must still investigate it as if the victim had never recanted in the first place. This is why it is so important to have a criminal defense attorney on your side who you trust will aggressively fight for your rights. If you have been accused of domestic violence, even if you haven’t been arrested yet, it is imperative that you contact a seasoned attorney who can help guide you through the frightening process of defending yourself against domestic violence allegations. Don’t wait to get legal help after being charged with domestic violence in Massachusetts. Doing so could cost you your future! Contact the Law Offices of Tom Kokonowski, Esq. today to schedule a consultation to discuss your case in detail and to learn more about the legal options you have available to you. Call now at 413-585-9200 or 413-737-9700 to speak with a domestic violence defense attorney now about your case. We are available to assist you.